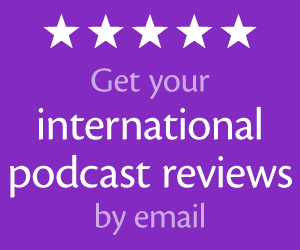 Want to earn money, get tax benefits, or gain press access with your podcast? Then you need these legal answers with Gordon Firemark. He also shares what to do when you get a lawyer letter. 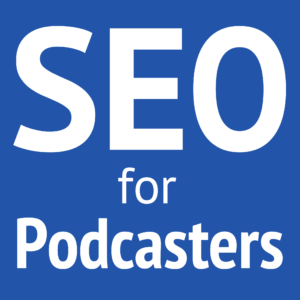 If you are making any money from your podcasting (even affiliates or Google adsense), that will look like a business. Know your local laws, because you may need to register your business with the county and get a specific business license. Scott Eiland from the Baseball Experience Podcast asked about getting tax benefits from podcasting. Gordon Firemark isn't a tax professional and recommends that you consult a tax professional. But from the legal perspective, the IRS will look at whether you're making legitimate effort to treat your podcasting as a business. Making a few dollars a year from Adsense may not make you look like a business and able to deduct all your expenses, but this may be treated differently at different levels of taxing. 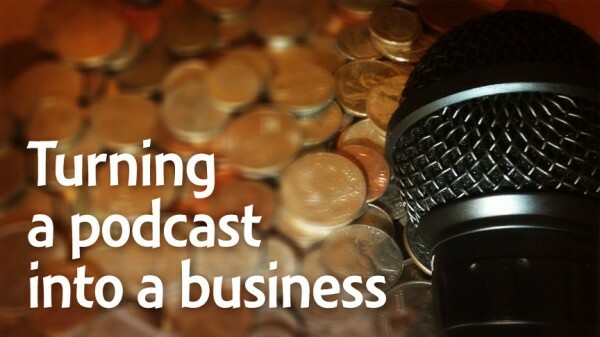 There may be further financial benefits to incorporating your podcast as a business entity, but you should consult a tax professional about this. Generally, treat this as a hobby and don't deduct your expenses. But your local government may require you to register as a business for tax or zoning (business from your home property). Most affiliate programs can send payments to you as an individual. The most important part of this is including the affiliate income in your tax filing. Treat this as an extension of your business, if you are truly using it to benefit your business. Again, talk to a tax professional about how you should track these deductions. This is a business, and you may want to consider incorporating to protect yourself from liability. An LLC is very popular for this model. Is this an actual business, or just a hobby? Consider a different picture like skiing. Unless you're a professional skier and are paid to ski or teach skiing, it's most likely a hobby. Yes, no, and maybe! Some states have a “reporter's shield law,” which provides many protections to journalists. But to qualify, you must demonstrate that you're a journalist. Simply blogging or podcasting doesn't instantly turn you into a journalist. You have to behave like a journalist. You usually have to demonstrate a reputation and sizable trusting audience. What does the evidence show? Are you acting, looking, and being perceived as a journalist? I have personally had two experiences being approved as press. For movie screenings, my reputation of quickly releasing previews to assist the publicity of the movie was enough to consider me as press. For Once Upon a Time, I had to demonstrate to ABC that I have a very popular site with a large audience and was speaking positively about the show. Do we need a profit-sharing contract with cohosts? If you have cohosts on your podcast and make money directly from your podcast, you may want to consider a contract for sharing the profit. This isn't required, but it's a good idea. This may look like either a partnership or as paying independent contractors. Sharing profit isn't even required, but you and your cohosts should have an understanding of how income will work. You could be sharing either the net or gross profit. The infamous “nastygram.” You have to deal with any claim from a lawyer about infringements. Be careful not to respond too quickly, unless its a DMCA takedown notice. These are part of the Digital Millenium Copyright Act and have designated deadlines and penalties for infringements. Sponsorship—getting paid to include ads or endorse a product. This is usually obvious that you're getting paid. Affiliate relationships—earning commissions by referring sales to another business. Affiliate relationships must be disclosed, even if they're testimonials. Paid subscriptions—selling access to your content. 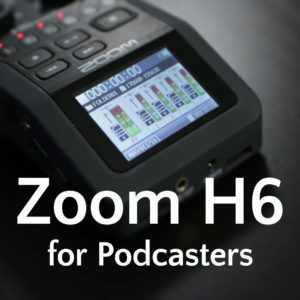 Learn more about making money with your podcast. I'm getting Adobe Audition in my Adobe Creative Cloud subscription and will soon host a review of Audition versus Audacity. Please join me at BlogWorld in New York City on June 5–7. I'll be one of the panelists in the Podcasting 101 track and presenting on the last day of the conference. Register for BlogWorld NYC for the early discount! Use promo code “PodLewis10” to save 10% off your admission. Hands down, best series of podcasts I’ve listened to. WOW, amazing content. I couldn’t stop listening. Wow! What a compliment! Thank you, Eric! Hello. Question. I though for legal reasons podcast can’t share music, but I have heard a lot of music being shared on podcasts . I mean they are bigger podcasts so is that the reason ? Nobody cares. Unless there’s some HUGE show and some legal guy happens to listen and cares that you may be making money by profiting from the usage of the song, they don’t care. Nobody can listen to the hundreds of thousands of podcasts out there. Believe me, nobody will care. So many podcasts openly admit and use songs without the license to do so because it’s insanely expensive to use a song… even popular podcasts with a lot of listeners, is still nothing on the internet in terms of numbers. Unless you’re drawing in millions of downloads, I wouldn’t worry. You can also use royalty free music if you’re that worried about it, but the chances you’re going to have millions of downloads from your podcast, is slim at best. I would recommend to do something else than podcasting, like getting a regular job.